The Otterhound is a unique scenthound because of its shaggy double coat and webbed feet. It is a large dog that weighs 80 to 115 pounds and stands 61 to 69 centimetres at the withers. The breed was developed in England to hunt otters, hence the name. Otterhounds are boisterous but even-tempered, which are also excellent swimmers. Are you ready to take home an Otterhound? Read on to know more about this big, laid back hound dog. The Otterhound was developed in medieval England in 1175 with the purpose of hunting river otters, which are a threat to fishers. These Otterhounds hunted in packs and were first called "otter dogge." However, the modern Otterhound was not developed until the 18th century. 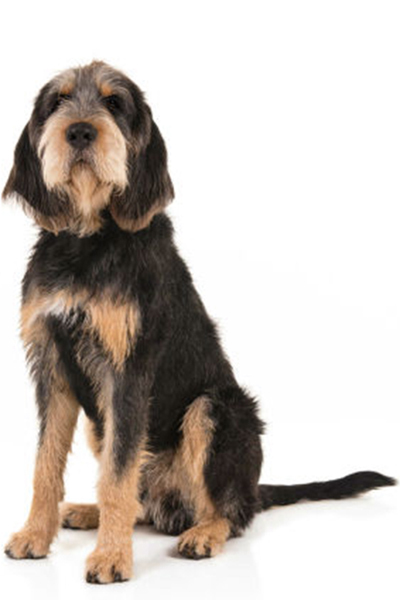 It is believed the modern Otterhound evolved by crossing three hounds such as the now extinct Southern Hound, the Basset Griffon Vendeen and the old St. Hubert Hound. Others thought that Otterhounds descended from the Bloodhound and the Griffon Nivernais cross in 1958. Otter hunting was a favourite sport for many years. Bad King John enjoyed hunting with a pack of Otterhounds, and Queen Elizabeth I was named the first "Lady Master of Otterhounds." However, Otterhounds declined when Otter hunting was banned in England in 1978 and Scotland in 1980 due to water pollution. In the years that followed, Otterhounds were repurposed to mink hunting and drag hunts. Today, the Otterhound has not recovered its popularity and is in fact limited in numbers that it has been placed on The Kennel Club's vulnerable native breed list. However, this does not signify that this breed is not an excellent choice for those who live an active and outdoor lifestyle. The Otterhound is a shaggy dog, wearing a rough double coat, beard and bushy eyebrows. The coat is comprised of a weather resistant topcoat and a woolly and oily undercoat designed to protect Otterhounds from cold water. 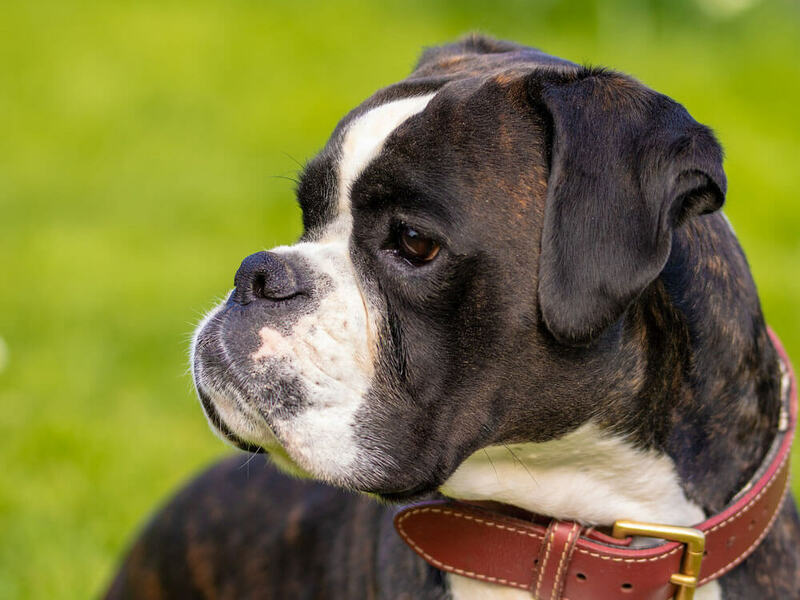 Its coat can come in a variety of colours such as grizzle, sandy, red, white, wheaten, black & tan, blue & tan, black & cream, liver, tan & liver, and tan & white. When it comes to its form, the Otterhound sports an imposing, dome-shaped and clean-cut head resembling that of the Bloodhound’s. It also has a square muzzle, a powerful jaw and deep flews. Nose and nostrils are both wide, while eyes are deep set and range in colour from hazel to black, complimenting the colour of its coat. Otterhounds have ears that are set low, reaching the tip of their nose. One of its unique features is the webbed feet that help the the breed in swimming. Since the Otterhound has a shaggy coat, it is apparently high-maintenance in the grooming department. It is also an average shedder all throughout the year. Brush its coat once or twice a week to avoid tangles and mats. Some Otterhounds will require stripping at least twice a year to maintain its rough and crisp texture. Most owners hire professional groomers to assist them. On top of caring for the coat, additional dog grooming includes brushing the teeth, trimming the nails and cleaning the ears. The Otterhound is a large and active dog breed that loves to run and swim but has a bit of a stubborn streak. Regardless, Otterhounds are happy, sociable and easy-going dogs that like nothing more than to be in a loving home environment, being a part of the family household. However, they also loves to bark, which may prove to be challenging especially for your neighbours. Good thing though is that Otterhounds are great watchdogs but not guard dogs. Like most hound dogs, the Otterhounds’ independent and stubborn nature makes it difficult to housetrain, as such is not ideal for new dog owners. They will require a steady handler who is also patient. With this said, crate training is often necessary for this breed. Otterhounds get on well with other dogs since they were bred to work in packs. However, they should never be trusted with small household pets, regardless if raised alongside them. Their prey drive is high, and anytime their instinct to chase will kick in. When it comes to kids, Otterhounds have are friendly and calm. However, their sheer size alone is enough to make sure that any interaction should be supervised. A typical serving for an adult Otterhound is 3 to 4.5 cups of high-quality dog food per day. Food serving must be split into two equal meals. However, don't rely solely on online resources since there are several factors to determine the right amount to feed a dog. It is best to ask for vet advice for properly balanced nutrition. To ensure that your Otterhound gets the nutrition it deserves, select a high-quality commercial dog food formulated for large, active dogs. On top of the ingredient list must be animal protein, which is essential for muscle growth. Examples of protein sources include lamb, chicken or beef. When given proper care, the Otterhound can live up to 12 years but its lifespan may be shortened because of some hereditary and acquired health disorders. Thus, it pays to know the signs and symptoms of the following: Hip Dysplasia, Elbow Dysplasia, Bloat, Epilepsy, Multifocal Retinal Dysplasia, Sebaceous Cysts, Panosteitis, Glanzmann Thrombasthenia, and potentially fatal bleeding disorder. Otterhounds require plenty of vigorous activities to be healthy and happy. Swimming is their favourite and will love nothing than to frolic in pools, rivers, lakes and streams. On land, they like to run and will make excellent jogging or biking companion. Give this dog breed at least one hour of daily exercise but make sure they are within a securely fenced area. You can adopt an Otterhound to save money but if you prefer to buy a well-bred puppy then prepare to pay no lower than £700. Pet insurance is an optional cost but one you will need to offset health costs in the future. Affordable pet insurance will cost around £26 to £65 a month, depending on your location and the dog's age and health. Food costs will cost you about £30 to £40 a month, excluding treats. Veterinary care is another huge expense, which includes regular vet visits, initial vaccinations, boosters and neutering. All these will cost you around £1,000 a year. As a rough guide, the estimated cost to care for an Otterhound will be £60 to £110 a month. Is an Otterhound Right for You? The Otterhound is a large and active dog breed that loves to run and swim. It is happy, sociable, and easy-going, which also loves to be in a home environment. Its independent and stubborn nature makes it difficult to housetrain. Otterhounds are great watchdogs but terrible guard dogs. They are high-maintenance in the grooming department.